Join us, PeopleForBikes and Trek Factory Racing in supporting bicycling. PeopleForBikes is a movement to make riding better for everyone. 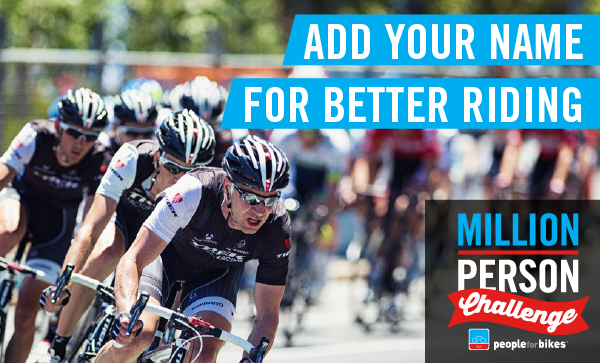 Join and Trek Bicycle by adding your name in support of better cycling. Let's show the world that millions are united for bikes! Join between August 18 and September 30th and be entered to win a ride with Trek Factory Racing's Jens Voigt in California on the "Shut Up Legs" Trek Travel luxury vacation. By signing up here you will be added to PeopleForBikes and the partners involved in this promotion; Trek and this retail partner. Click here for official rules.